Industrial heater applications for concrete and construction industries are varied and demanding. Jetheat understands this and engineered and manufactures each of our portable industrial heaters to be durable and dependable. The Construction Industry is all about deadlines. The JetHeat GT1400 can help you meet yours! Cold weather doesn’t need to prevent work from continuing. You can keep your projects on track when conditions are a challenge due to extreme temperatures. Highly portable due to its small 2’x2’x4’ footprint, the JetHeat GT 1400 SA unit can be placed nearly anywhere in close proximity to your needs. Lightweight, at only 275 pounds, it can be moved easily from job site to job site by only two men. Or, by using a JetHeat custom trailer, it can be easily towed and operated by anyone. Heat interior spaces to allow workers to continue progress without worrying about fumes. The JetHeat GT 1400 produces Clean, Breathable air. 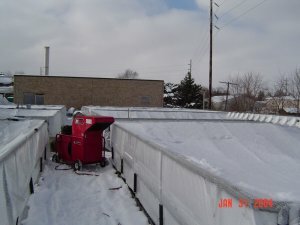 Keep your workers, dry, warm, comfortable AND healthy! Protect your expensive construction materials from becoming frozen, brittle, or wet. Continue working with concrete, paints, or plastics that require warmer temperatures to cure or dry. The JetHeat Micro Turbine GT1400 is one-of-a kind heater that provides instantaneous heat with best-in-class fuel economy and static pressure all while leading the industry with the highest efficiency and lowest carbon footprint. 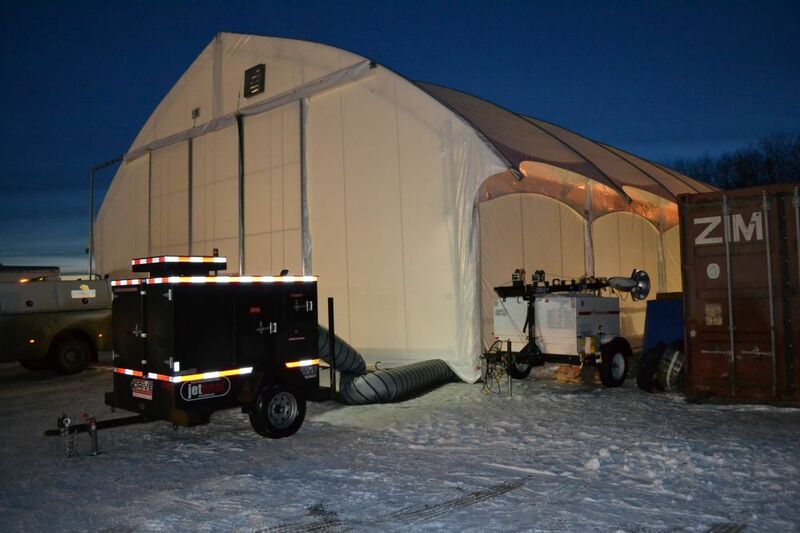 Our product is a solution to the challenge of carbonation, chalky surfaces and scaling issues while curing concrete in cold weather conditions. 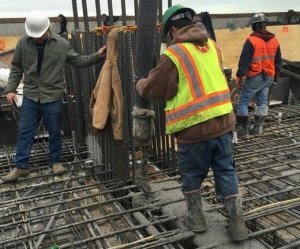 Our technology is a problem solver for the concrete industry and our clean breathable air output keeps workers safe in enclosed spaces. Painting steel in cold weather conditions can be done if the steel is dry and relatively warm. Bridges, railroad trestles, guard rails, and other outdoor structures made of metal can be heated with JetHeat. Our static pressure can push the heat to where you want it. The breathable air output provides a safe and comfortable environment for workers. The GT 1400 can easily heat the steel to 50F or higher to reach that critical safe temperature range for applying paint. 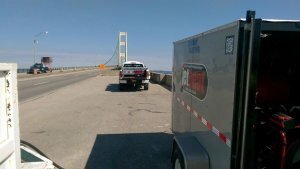 The JetHeat GT 1400 was used to paint the Mackinac Bridge. JetHeat is the best-in-class approach for customers with ground thaw requirements. Thawing ground with JetHeat is as simple as weighing down the edges of a tarp and blowing in JetHeat’s instantaneous hot and dry air stream. The static pressure of JetHeat will fill the space and dry the ground quickly without the muddy mess and time consuming setup and teardown of a glycol system. American Made, JetHeat flameless heaters are simply the best product on the market for meeting the challenging industrial heater applications for concrete and construction industries. Call us today at 1-877-JetHeat or fill out our contact form to put JetHeat on your next project.